The BBC iPlayer enjoyed its best-ever month in December, with the online video player cruising past the 100 million monthly streams mark for the first time. The popularity of the iPlayer was because of a number of factors, namely the finale of David Tennant as Doctor Who (1.3 million streams) and Top Gear's special set in Bolivia which ended up as being the most-watched programme over the December period. But it's not just TV shows which have made the iPlayer such a success, radio is contributing its part too. The biggest thing radio-wise in December was Terry Wogan's heart-wrenching farewell to his TOGs on the final Wake Up To Wogan. 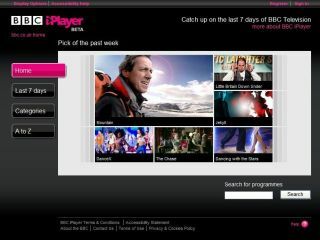 "Breaking the 100 million barrier is a great way to kick off 2010 and these figures show that by offering simple and varied access to BBC iPlayer people are really finding it easy to catch up with their favourite programmes at a time that suits them," said Erik Huggers, Director of Future Media and Technology, about the news.